I have written previously about my great-great-grandfather Seth Dunham’s discovery of the quicksilver (mercury) lode that became the Redington Quicksilver Mine in then-Lake County. Recently I was sent an article from the Ukiah Republican Press of 8 October 1897 that indicates Seth was also responsible for discovery of the claim that became the Great Western Quicksilver Mine in Lake County and was involved in gold prospecting in Mendocino County. The relevant text from that article follows. Seth Dunham Proves Mendocino to be Very Rich in Gold-Bearing Rock. 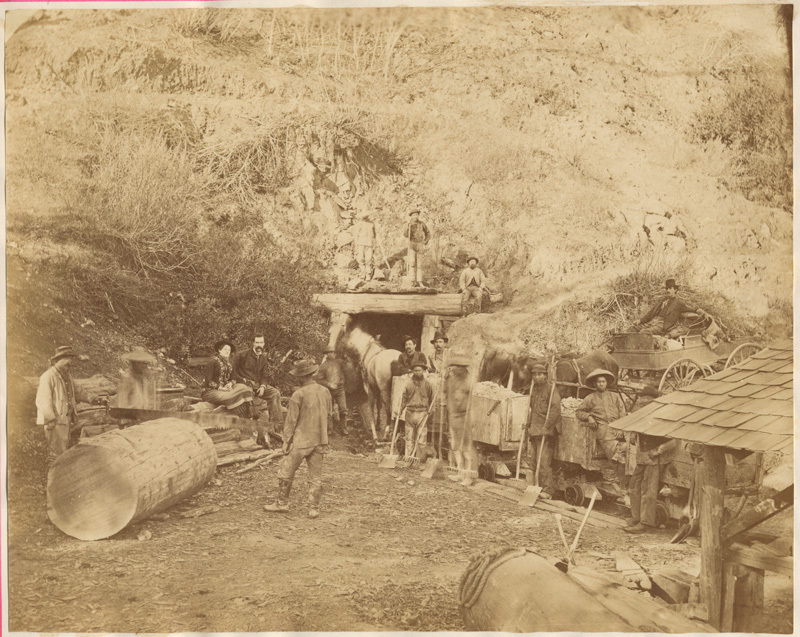 J. M. Dill was down from Laytonville Tuesday and stated to a reporter from the Press that the people in that section of the country are greatly interested in the mining developments made there. Some very promising leads have been discovered by Seth Dunham, an old miner and well-known resident of the Laytonville section. Mr. Dunham, accompanied by the son of Mr. Dill, has been prospecting extensively in northern Mendocino, and has located thirteen claims. The lowest returns received from specimens sent to the Selby Smelting company are $25 a ton, and the ledge is a well-defined one and has been traced for miles. Mr. Dunham was the discoverer of the Knoxville and Great Western mines, and is thoroughly well posted in mineral bearing rock. He says that beyond a doubt the Laytonville section is one of the richest in the country. The new discoveries are about 12 miles northeast of Laytonville and are on the line of the Red Mountain prospect. At the latter place Messrs. John Graham of Eureka and John Beaumont and Douglas Mackellar of Laytonville have located some handsome prospects. They will begin sinking a shaft next week. When they first struck the leas they are to develop the ore assayed $5 a ton but the deeper they go the richer the returns appear. The latest assay shows $15 to the ton, and one of the gentlemen will go down to San Francisco during the coming week for the purpose of arranging for the purchase of a 10-stamp mill.